Almost three decades ago, I spent a summer as a Student Conservation Association ranger at Isle Royale National Park, in the farthest reaches of northern Michigan. I hiked through the beautiful boreal forests of this World Heritage site, drawn there because of the stories I'd read as a child about the relationship between the wolves and the moose on the island. Not for a moment did I ever worry about a wolf attack – in fact, I yearned for a glimpse of these elusive creatures. I'm back today in the lower peninsula, enjoying the Michigan summer and speaking up for wolves as the human population of 10 million grapples with the question of how it handles the 650 or so wolves who've reclaimed a small portion of their range, in the state's Upper Peninsula. Immediately after the federal government removed wolves from the list of endangered species, a majority of state lawmakers voted to open up a trophy-hunting season for wolves. 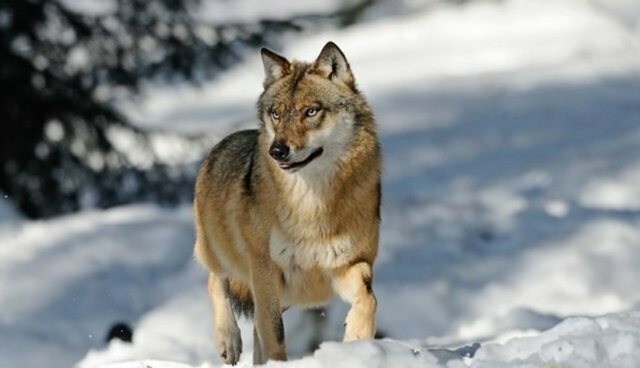 The HSUS joined a larger coalition, called Keep Michigan Wolves Protected, and conducted a referendum to give voters the opportunity to nullify the legislature's precipitous and controversial action. We're pleased to stand with the Detroit Zoo, Michigan's native American tribes, Audubon chapters, the Michigan Sierra Club, hundreds of other groups, businesses, veterinarians, wolf scientists, and thousands of volunteers working on the ground who favor the restoration of basic protections for the state's small population of wolves. Before the public could even vote on the issue, lawmakers found a different means of allowing trophy hunting – by ceding authority to the seven-member Natural Resources Commission to establish hunting seasons for almost any species. They clearly feared that the voters would side with us, and tried to derail our referendum. We responded with a second referendum, to give voters the chance to nullify the second legislative maneuver against wolves. We met their attempt to suppress voting rights with more citizen democratic action and a new opportunity to vote. This time, the trophy-hunting lobby gathered signatures for its own wolf-hunting measure, ironically and counterintuitively as a third attempt to thwart a vote of the people. Their measure is called the "Scientific Fish and Wildlife Conservation Act" – a well-dressed-up wolf hunting measure – and they have publicly stated that they want the legislature to approve it later this month or in August. The trophy-hunting lobby, by various means, wants legislators to control this issue, so they can have their way with wolves. There's one overriding conclusion I've come to in talking to people in this state. We at The HSUS and Keep Michigan Wolves Protected have confidence in the people of Michigan to weigh the issues and make the right decision. Our opponents don't trust the citizens of the state, and they are making extraordinary efforts to block a public vote in a fair election. Our system of government is grounded on the principle that regular people are entrusted to make election decisions, whether for candidates or issues. Thomas Jefferson said it best: "Men by their makeup are naturally divided into two camps: those who fear and distrust the people and wish to draw all powers from them into the hands of higher classes; and those who identify themselves with the people, have confidence in them, cherish and consider them the safest and most honest, if always the wisest repository of the public interest." It's a sad circumstance when lawmakers and their allies in the trophy-hunting community try to squelch the voting rights of citizens, in their zeal to kill animals who are rare, who've harmed no one, and who have a rightful place in this great state.